In a course on research ethics, is there any way to fully understand consent processes without embodying ethical (or unethical) choices? Students in Professor Kearsley Stewart's Class will encounter the extremes of ethics as characters in "Informed Consent." Written by Deborah Zoe Laufer, this play is based on the true story of research misconduct by Arizona State University researchers working with the Havasupai, a Native American tribe who have lived in the bottom of the Grand Canyon for centuries. On Thursday, December 7th from 7-9pm, please join us at Sheafer Theater in the Bryan Center for a free public reading of the play, sponsored by the FHI Health Humanities Lab. 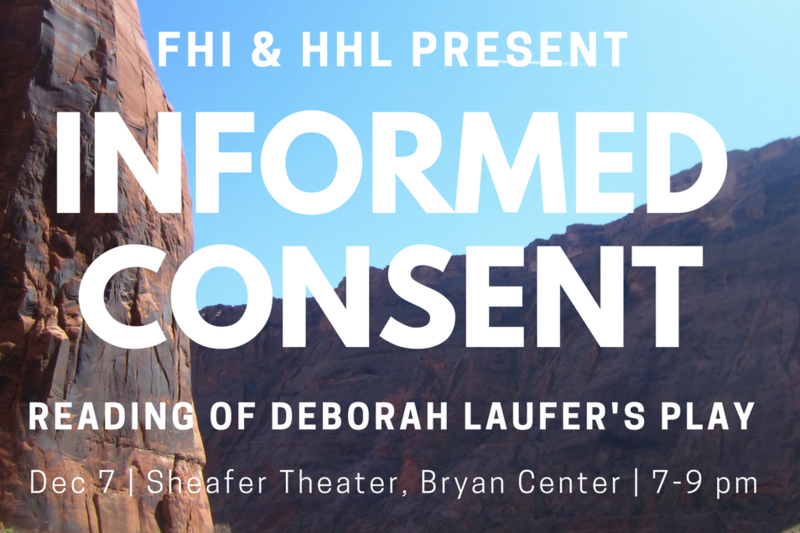 "Informed Consent" is presented by special arrangement with Samuel French, Inc.